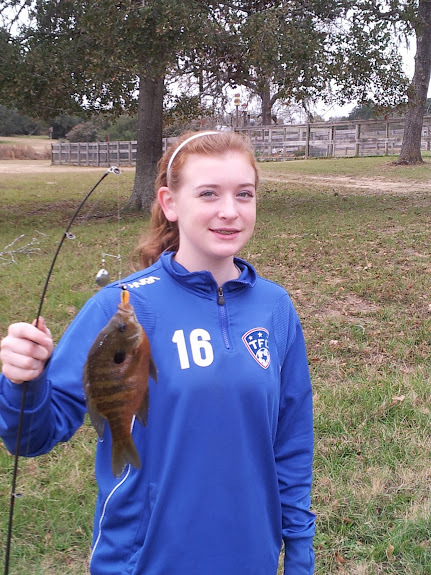 Logan also pulled a sunfish outta grandma's stock pond! Spent Monday and Tuesdays at Fran's Dad's ranch for Christmas. We drove back Tuesday night through a hellacious Storm. Temps did not get above 45 this week in Dallas. A second record week swimming this week!